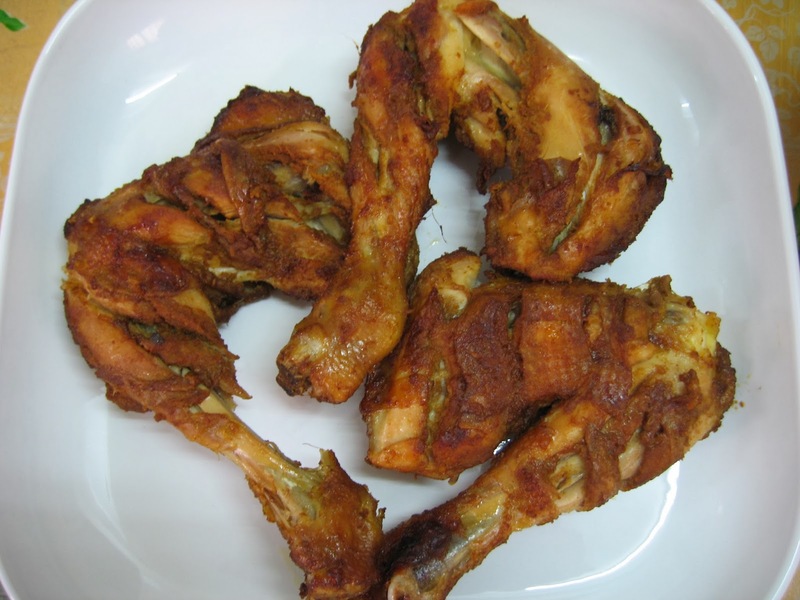 Bill's chicken drumsticks with paprika and garlic is popular among my blogging friends. Many of them have already tried this dish. I could not resist not trying it out when they showcased photos which were so tempting and so irresistible! Here is my attempt and It is delicious! 1. 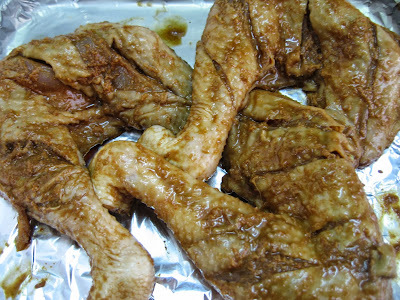 Using a sharp knife, make a few slashes 0.5cm deep through the thick parts of the chicken drumsticks. 2. 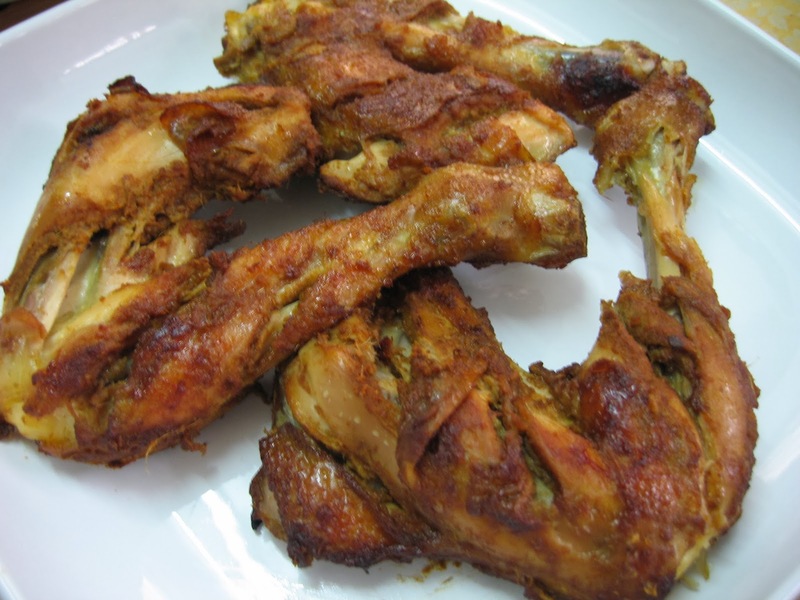 Combine all the spice ingredients in a small bowl and using hands to rub the spice marinade over the chicken drumsticks. Cover and transfer to fridge and let marinate overnight. 3. Preheat oven at 200degree C.
4. Place chicken in a baking tray lined with aluminium foil and roast the chicken drumsticks for 20 minutes. 5. After 20 minutes, turn the chicken pieces and roast the other sides until slightly charred. 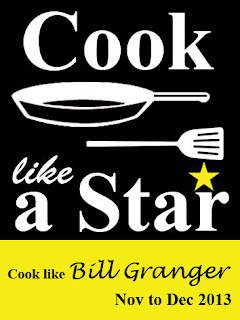 I am linking this post to"Cook Like A Star"
You are right... besides the honey wings and sticky ribs, this is another popular recipe that many of us have cooked. Yours look very yummy!!! This is simple and delicious! Glad you love it too. Thumbs up for the chicken drumsticks.